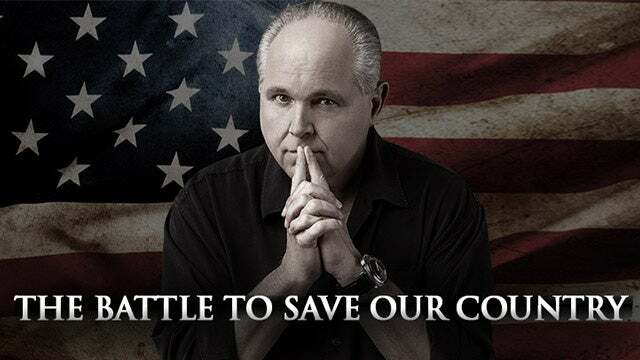 RUSH: The special counsel’s office has started leaking. They’re gonna keep leaking for the next two to three weeks, and the Washington Post got the first leak. We’ll have details coming up. 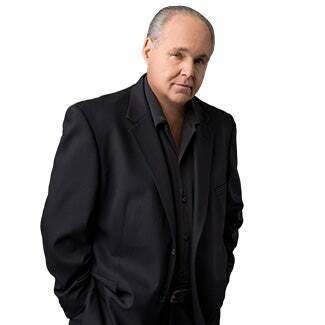 RUSH: Well, they aren’t leaking, but they’re actually sourcing various things. The story in the Washington Post today is, why didn’t Mueller subpoena Trump? They’re gonna try to take as much advantage as they can in the time between now and when the attorney general releases the full report except for the stuff that gets redacted. There’s a lot of grand jury material in the report that can never be released as a matter of law. I actually said something on both shows last night that I had not said on this show before, and that is this was not even an investigation. This is where everybody is being misled, and it’s impossible not to be misled. It’s impossible for the average American not to fall into the trap that this entire thing was. This was never an investigation. There was nothing to find. There was no collusion. There was never any evidence of it. There was no need for a special counsel. It was a political appointment to satisfy some Democrats and to get rid of Trump. There was no need for an investigation because there had not been any evidence produced of collusion. All they had was the dossier, so it wasn’t even really an investigation. It was a coup! It was an organized effort to poison the political landscape against Donald Trump. Robert Mueller knew before this investigation began there was no collusion. But let’s give him the benefit of the doubt. They begin the so-called investigation and after a month it’s abundantly clear there’s no collusion, and yet Mueller keeps going. He doesn’t shut it down. He doesn’t make any interim announcement that the investigation has found no evidence of collusion. Kept it going. This was not an investigation. It was made to look like one. It was categorized as one, characterized as one, reported on as one, but when you get down to brass tacks, it was not even an investigation. It didn’t take two years to discover what Mueller reported, that there was no collusion and no evidence of obstruction. Well, Mueller didn’t report that. Left it up to Barr to conclude. Barr concluded it based on what he read in the report. It was nothing more than the poisoning of the political landscape. Now what’s happening, the Drive-By Media not shamed, not feeling any remorse, not feeling any disgrace over being totally wrong about this, because it wasn’t an investigation. It wasn’t that they were wrong. It is that they have failed, at least so far. The objective: Get rid of Trump. They have failed at that. Now it’s on to the next phase of getting rid of Trump. So it wasn’t an investigation, and it wasn’t honest reporting about an investigation. 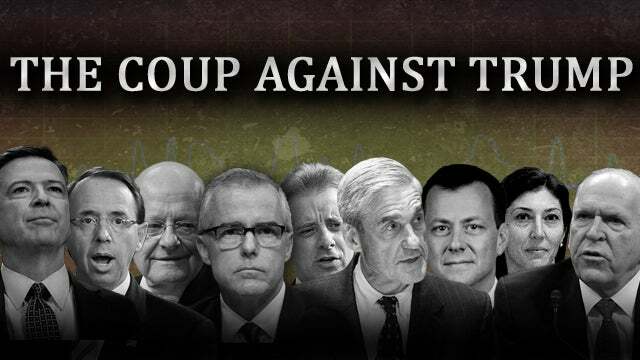 It was all of these people aligned on the same side moving an objective, in this case a silent coup to poison the landscape, the American people against their president and try to convince them he was a traitor and a Russian agent. That bombed out. Now, the next phase it — there are two parts of this, now. The first phase is the media are now saying — and it’s all over the place out there, my good friends. 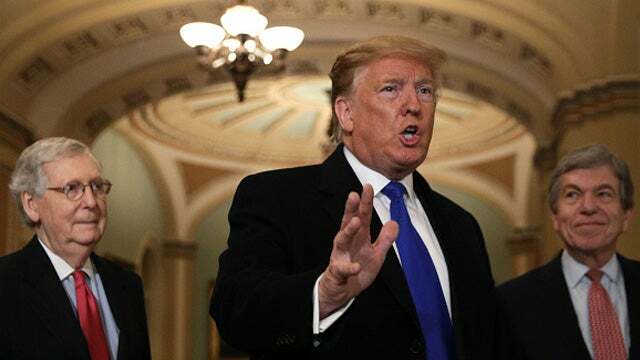 The media is now saying it’s unsightly for Donald Trump to crow about the Mueller report. It’s really bad form, they’re saying. It is so beneath the office of the presidency for the current occupant to go do a rally and start talking about greatest hoax in American history. So, so unsightly. They’re saying Trump should just get over it and move on, which is how they demand we react to every failed effort they mount to get rid of one or two or three of us. When they bomb out, we’re supposed to say, “Okay,” applaud their effort and then move on. Notice the media are not telling the Democrats to move on, are they? The Democrats are who blew it! Mueller and his gang are who blew it. Comey, Brennan, Clapper, all of them blew it. Are the media telling the Democrats, “Come on, you guys, you gave it your best shot. Get over it. Let’s move on.” No, they’re not. They are right in there with the Democrats demanding that the report be released because Barr can’t be trusted! Barr has a four-page summary of Mueller’s 300-page report, and obviously there’s stuff in this report that Barr doesn’t want us to see. So now they’re leaving it open because their audiences demand fake news. They’re leaving it open that there may be collusion, that Mueller may have found it, that Barr is trying to cover it up by not reporting it. Yeah. Well, then where is Mueller and the rest of his Trump-hating team leaking or appearing in the media saying, “Wait a minute. Barr’s making it up. We found all kinds of evidence of collusion. It’s in our 300 pages.” Why aren’t they saying that? So Trump’s supposed to get over it. Trump’s supposed to let it roll off his back like water and oil. Trump’s supposed to say, “Okay. Dodged that bullet. We’ll move on.” The media is not telling the Democrats to move on. To the contrary, they are right in there with the Democrats demanding that this report be released by Tuesday next week and without any redactions. They are demanding. They’re not moving on. They’re demanding to see the truth that so far is being withheld from them and everybody else. And now they’re even starting to demand that all of the tens of millions of documents the Mueller team vacuumed up during their two-year long investigation be released without the redactions. Every sheet of paper. Trump said at the Michigan rally last night that the Democrats won’t be satisfied ’til they have every sheet of paper that the Trump organization has ever produced in its entire history, and even then they’ll want more. And he’s exactly right. That’s why I so respectfully disagree with the august Karl Rove. It’s not time to put this aside now and move on as though it never happened so that we don’t irritate the swing voters. It’s time to go out there and inform and educate the swing voters to what happened. ‘Cause this isn’t finished! Like I told Bret Baier and like I told Hannity last night, this investigation isn’t over ’cause it’s not an investigation. This effort, this silent coup is not over. Do you know that John Brennan met with House Democrats on Tuesday? And I guarantee you it wasn’t to rub their hands together and cry over their failed effort. It was to plan the next phases of this. No investigation. Instead, an ongoing effort to literally poison the land on which the cows are farting that will ultimately kill us in 12 years. And it infuriates me like I cannot describe. The fact that this is ongoing and the media telling us and Trump to get over it. It’s like, let’s go back to these wonderful guys in the state of Virginia, Ralph Northam and his attorney — lieutenant governor. Now, these guys are appearing in blackface and they’re beating up and abusing women and they are advocating for killing of children after they are born. There’s nobody following up on it. Jussie Smollett! Oh, yeah, just ignore everything, have the levers pulled in your favor and move on! The media will help you move on. The media will help everybody forget whatever you did. The media will not call attention to whatever you did beyond the first time they report it, allowing you to fade into the background of your abuses, your lawbreaking, if you’re a Democrat. And now, like the sun comes up in the morning, Rahm Emanuel decided he’d been too tough on Jussie Smollett. He’d been too tough on the poor, young black guy — and maybe too tough on the African-American state’s attorney in Cook County. So now Rahm Emanuel is blaming Donald Trump for what Jussie Smollett did. 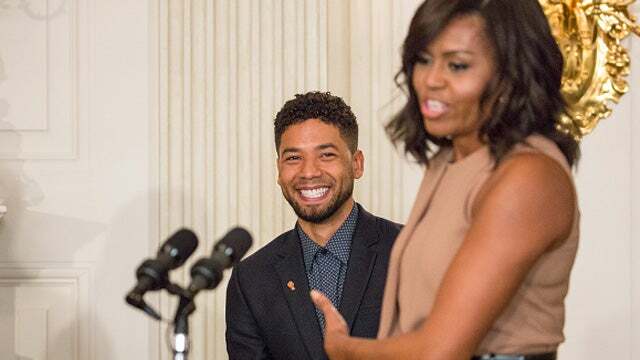 If Trump weren’t president, then Smollett would not have felt the need to stage an act where he was beat up by a couple of black guys in white face. So it’s all Donald Trump’s fault. The filth is the drivel and the garbage — the refuse — that we have to face and deal with each and every day, and it isn’t going to stop until these people have been politically pummeled and defeated into the ground. I find it just so instructive. “Trump should move on. We should move on. Forget it, folks. It wasn’t that big a deal. It’s politics. We’re always trying to destroy people in politics. So you survive this one. Move on.” Democrats are not being told to move on. Democrats not being told to forget it. This is so huge, it’s so teachable, it’s so instructive. Democrats are not being told to move on. Democrats are not being told to forget it. Democrats are being advised to keep it up. Democrats are being advised to intensify their efforts. Democrats are being advised to keep going after Trump. Swalwell, Pencil Neck, all these people are being encouraged. The special counsel’s office is being encouraged to leak. The Washington Post, as I say, was their first repository, and I’ll explain that as the program unfolds. Let me attempt to explain what I think is going on here with the Office of Special Counsel. There is a story, it popped up after the program yesterday in the Washington Post. Let me find the exact story. “Was Mueller’s Punt On Obstruction Payback For Getting Strung Along On Trump Interview?” That’s the Hot Air headline on their story here. But it is basically the Washington Post making the point that it appears Trump outmaneuvered the special counsel’s office in resisting to sit down for a sit-down interview, in-person interview, interrogation. And because Mueller was unable to talk to Trump is why Mueller did not clear Trump on obstruction. But the story does have two takes. One take is that Trump and his lawyers really, really outmaneuvered Mueller. And because of that, Mueller’s way of fighting back against the outmaneuvering was to not clear Trump of obstruction, to hand that over to Barr because he, Mueller, never got a chance to talk to Trump and it was all about, you know, the special counsel’s office debated back and forth whether to subpoena Trump, can you subpoena a sitting president to show up before a grand jury? Would Trump acknowledge it or not? It was a big debate they had inside the special counsel’s office. Remember all those news stories? Then the accompanying stories would be from various lawyers like Dershowitz and others, “That’d be the biggest mistake you could make. Don’t talk to ’em. It’s a perjury trap.” And a lot of people assuming that Trump didn’t know what he was doing. He knew exactly what he was doing. He was signaling a willingness to but then his lawyers wouldn’t let him do it because it was too risky. So it comes time, they have to close this thing down at some point. They could have closed it down before they began. They could have closed it down two weeks after it began. So Mueller decides to shut down the investigation and leave the obstruction question unanswered. This is all Mueller can do. There wasn’t any obstruction. There wasn’t any collusion, but Mueller didn’t want to clear Trump. 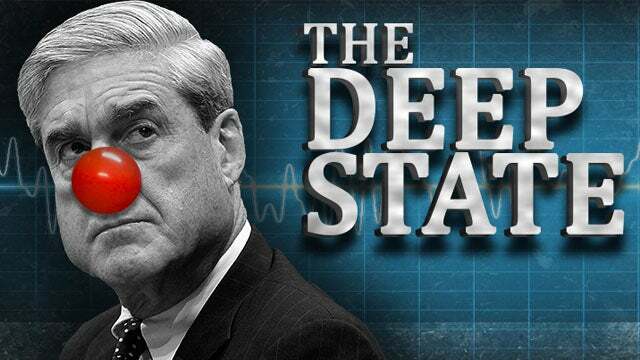 Mueller wanted to continue to provide the ongoing narrative that Trump was guilty of something by holding back on proclaiming Trump innocent of obstruction and turning it over to the attorney general handpicked by Trump, that Mueller and his office knew that anything Barr said that the media had an open lane to accuse Barr of bias, trying to satisfy his boss, all this despicable, despicable stuff. So he leaves it up to the attorney general to decide whether or not Trump had obstructed justice. And there’s an obvious question here. If you’re gonna leave it open to the attorney general, Barr or anybody, if you’re gonna leave it over to deputy attorney general, Rosenstein, if you’re gonna leave it open, you’re the special counsel, you’ve just spent two years supposedly exhaustively looking for any and all evidence that Trump is a rotten guy. You don’t have any. And you submit your report clearing Trump of collusion but leaving open the question of obstruction for the attorney general to decide. If you’re gonna do that, in other words, if the attorney general who had not participated in the investigation could answer the question of obstruction, then why was Mueller needed at all? And that’s the question you need to be taking away, not what they’re trying to leak. They’re trying to leak here that Trump may be guilty ’cause he wouldn’t talk to ’em and that’s why we couldn’t clear him on obstruction. But the Trump lawyers made sure that whatever answers they wanted, Trump provided ’em. He provided ’em on TV interviews. He provided them in any number of different ways. There’s nothing Trump could have said that he hadn’t already said. He could not be accused of evading questions. He was just not gonna sit down with Mueller. Because he’s president; he doesn’t have to. Mueller does not work for him. It’s the other way around. So Mueller tries to create a scenario here, and the special counsel’s office leaking all this to the Washington Post so they can create a story Trump didn’t cooperate, Trump was not fully cooperative. There may be some lingering questions, but the question you need, the only question you need, here is there vaunted Mr. Honorable, Mr. Integrity Robert Mueller and his 19 Trump-hating investigators and lawyers revealing in their report that they can’t conclude whether Trump object obstructed. Of course, that just sent James Comey into orbit. Oh, man, oh, man, Comey’s got new life now. By questioning what Mueller did gives him chances to get back on TV. But if the special counsel who did the two years investigation can leave the decision of whether Trump obstructed to a guy that’s been attorney general for six weeks, then why did we need Mueller? That’s the question. Why was Mueller even needed if he’s not gonna make this determination and if somebody’s been in office six weeks can do it. So it is obvious to me, and I think to everybody, the reason that Mueller did not clear Trump of obstruction, it was the last opportunity Mueller had to slap Trump upside the head. It was the last thing Mueller had to continue to cast doubt on Trump. Mueller just couldn’t bring himself to totally clear Trump. He had to make it look like Trump is so sneaky, so snaky, so slinking around out there that he may have obstructed, but we may not have been able to find it. But he could have done it. I gotta leave it up to the attorney general to determine. Some guy that’s been in office six weeks. Mueller could have determined whether Trump obstructed because it’s very simple: Trump did not. This investigation was not stopped. It was not detoured. It was not deterred. It was not stopped. Nobody in it was fired. There is no way that anybody can claim Donald Trump obstructed the investigation. It went on for two freaking years! But the special counsel’s office got this big, gigantic story in the Washington Post today about how Trump may have pulled a fast one by not talking to Mueller, may have skated out of something he could be guilty of. That’s what they’re trying — and all they need to do in the special counsel’s office is allege anything, and the media, that’s the signal, and they’re off and running with it. All it took was not clearing Trump on obstruction, by design, to create the ongoing new narrative of what is not an investigation but rather a continuing effort to get rid of Donald Trump, get him out of the Oval Office. RUSH: Oh, one more thing on this special counsel’s office. I think what they’re gonna be doing… We’ll see, but I think that the special counsel’s office is gonna be leaking things for the next however long it is before Barr releases his version of the full report. They’re thinking April 2nd, so what are we looking at? Not even a week. It may be longer than that. Whatever the length of time it is, I think Mueller’s office is going to be doing whatever they can to get their point of view out there. Now, you ask, “What is their point of view? Their report says that Trump didn’t collude.” Yeah, but (chuckles) that doesn’t mean the report doesn’t talk about what a reprobate Trump is or how risky Trump is or how unqualified Trump is, how we wouldn’t even have been here if we hadn’t elected somebody this radical or whatever. There’s any number of things that could be in this thing that Mueller wants out and that Mueller’s investigators want out. We’ll find out, because in the next however many weeks or days it is before Barr releases whatever he’s gonna release, I guarantee you these people leak. They’re not Trump fans. They’re ticked off they couldn’t find anything, and they’re gonna be doing their best to create opportunities for the media to continue to question Trump’s legitimacy. That’s my only point. Somebody on the left somewhere, every day is going to continue to offer the media opportunities to question Trump’s legitimacy. Here is Nelson in Brooksville, Florida. You’re up first. It’s great to have you on the EIB Network. Hello. CALLER: Rush, it is great to be here. It’s an absolute pleasure to get to speak with you. CALLER: I’ve been executing assigned listener duties flawlessly for over 25 years, and because of the intelligence guided by experience you’ve shared over that 25 years, I have a theory that I have yet to hear anywhere else, and I want to get your perspective because you are, of course, the leader of the Conservative Party. 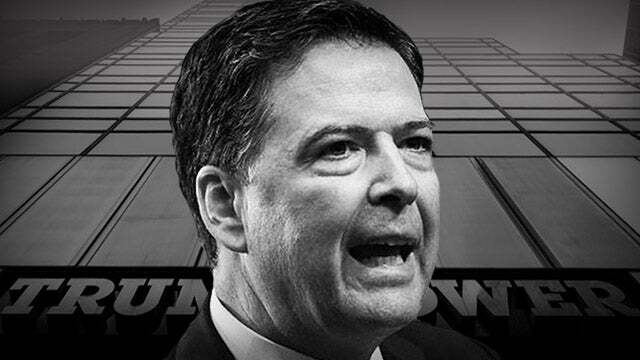 I believe that history will look back at James Comey and realize his actions were the beginning of exposing the depth of corruption in the elected officials, the media, wealthy corporations, and the individuals that make up the swamp that is Washington, D.C. I think that James did it on purpose. I think given his history of prosecuting corruption, of investigating Hillary, of his history of having a reputation of being a Constitution-loving, Declaration of Independence-quoting Boy Scout of a reputation, I could not understand why he would deliberately, apparently, sabotage and get a special investigation. RUSH: Let me tell you why. I don’t mean to be abrupt here, but I have to reject your theory. I don’t think Comey has any grand plan here to — way down the road, in the books and the eyes of history — be seen as the guy who cleaned up Washington. If he wanted to do that, expose this two years ago! You don’t need to play this game. He doesn’t needed let this happen to the country. I’m well aware of the reputation James Comey had. I know people that know him personally who are stunned and shocked, and they’re asking themselves, “Maybe the guy never had this. 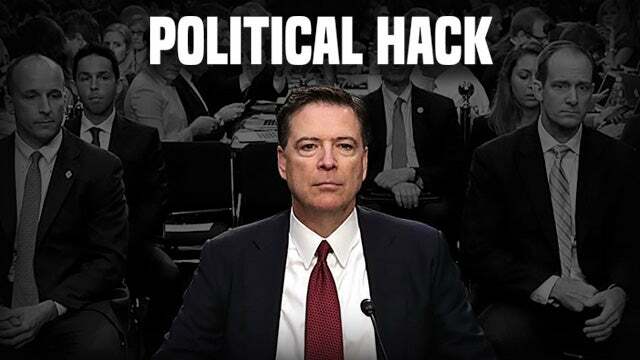 Maybe he never deserved this image, ’cause he’s certainly been a guy that’s been cultivating it.” I don’t think Comey is any different than any of the rest of them. There is a mind-set within what we call the Washington ruling class. They are very exclusionary people. They do not welcome outsiders. They hold outsiders — average people — in varying degrees of contempt. They chuckle at the idea that the American people have any say-so in the operation of their government. They think it’s very quaint that the American people think this, but the truth of the matter is the American people are irrelevant to what really is happening in this country ’cause they don’t know enough and they’re not smart enough and they’re not engaged enough and they’re not in touch enough. So these people think they’re running everything. They’re the guarantors of everything. They are the people who are running the country, running world, determining the United States’ position in the world. Because only they are uniquely qualified by virtue of their birthright, their education, their pedigree, their work histories, their connections and so forth. This guy Donald Trump has totally sent them into orbit and for a loop. This was never supposed to be able to happen. They have engineered things so that people like this guy can’t possibly get elected. It’s no more complicated than class, folks. It’s no more complicated than a bunch of elites not wanting anybody they look down on being anywhere near what they do. It really isn’t any more complicated. Comey is no different in this than Obama, than Brennan, than take your pick. That’s what’s so hideous about this. These are a bunch of unelected people who, in their minds, have the right and the responsibility to determine policy and direction and the place in the world of the United States of America. Nobody ever elected ’em to do so. They have never presented their positions, credentials, qualifications to the American people. Yeah, they’ve been appointed, in large part, by people who were elected. But they have no respect for Donald Trump, and they have no respect for the office of the presidency, and they have no respect for the Constitution. If James Comey wanted to blow this sky-high, he could do it right now or yesterday or a year ago or two years ago and not wait 10 or 20, 30 years for the next generation to write a bunch of history books. James Comey is the guy who looked at Hillary Clinton’s illegality straight on, exonerated her before even interviewing her in a criminal investigation, and gave her a pass. For whatever reason. She’s Democrat presidential nominee. She’s Hillary Clinton. These people aren’t gonna be responsible for taking out a Democrat presidential nominee, what have you. But I think this is… (Snort!) “Outrageous” doesn’t even begin to describe what has happened here and who these people are and how they think.